Flight Eight is not a flight at all but your introduction to flight planning. It introduces the flight planning techniques used for cross-country flight, including dead reckoning, which involves making calculations based on aircraft performance data and weather forecasts. You will also learn how to obtain a weather briefing from a flight service station or by using DUATS. Initially, it will probably take you longer to plan your flight than it will to fly it. You will also plan more flights than you actually fly since, from time to time, weather data will dictate a no-go decision. For private pilot certification, the FAA requires a minimum of three hours of cross-country flight training as well as 5 hours of solo cross-country time, including one solo cross-country flight of at least 150 nautical miles total distance. There is also a requirement that the three hours of night training include one night cross-country of over 100 nautical miles total distance. For your cross-country flights, you will need charts (which might look like maps but should not be referred to as such by aviators) an E6B, a plotter, some flight plan logs, and a copy of the pilots operating handbook for the airplane you intend to fly. Your instructor will have a destination in mind that usually is just over the minimum required distance of 50 nautical miles from your home base. To get started, open up your chart and identify the destination and take a look at what lies between your base and the destination. As pilots, we like to travel in straight lines; so, unless terrain, airspace or navigational considerations dictate otherwise, your course should be a straight line from your point of origin to the destination. Mountainous terrain, large stretches of open water, restricted airspace, etc., are factors that might lead you to consider more circuitous routes. Having decided on a route, draw a line with an erasable pencil on your chart, using your plotter to define your route. Once you select the destination and choose your route, the next step is to obtain accurate weather information. There are two main ways of doing this. 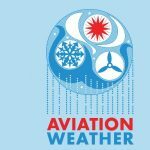 You can either call a flight service station by phone and request an oral weather briefing, or you can access the same weather data used by the flight service station using either a dial up or online connection to DUAT. If you use the telephone method, you will need to request one of three different types of weather briefings. A standard briefing is the most complete and is requested for flights that are due to depart within six hours. An outlook briefing is requested if your proposed departure time is six hours or more in the future. An abbreviated briefing is requested to update an earlier briefing. To request a standard briefing, call 1 800 WX BRIEF and be prepared to give the briefer the following information. Type of flight (VFR or IFR). This information is usually listed on a flight plan form and read to the briefer from the form. Click here to download the FirstFlight flight plan form in pdf format. The briefer will enter this information in their computer system and it will allow the briefer to tailor the briefing to your specific needs. Be ready for the briefer to immediately start the briefing and be prepared to take notes. To organize your notes, it’s a good idea to use some kind of weather log. Click here to download the FirstFlight weather log in pdf format. If the briefer talks too fast, ask them to slow down, but try not to interrupt. If you have questions or need extra information, make your request once the briefer has completed the briefing. The briefing will start with any adverse conditions and move on to a synopsis of weather systems. Gradually, it will become more focused on your specific route of flight, including current weather information for airports along your route, forecasts, and winds aloft. It will also include notices to airmen (NOTAMS) that might include important information about the operational status of airports and navigation aids. The alternative to calling for a briefing and making notes is to use DUATS . This is a service that can be accessed online and allows you to obtain the same data as provided in a telephone weather briefing. The advantage is that you do not have to take rapid notes and can analyze all the information at your leisure. The disadvantages are that you have to be able to access a computer to use DUATS and you are relying on your own ability to interpret the data. Sometime during the course of your training, you should make a point to become familiar with both telephone briefings and DUATS. Any holder of an FAA student pilot certificate may obtain free access to DUATS at http://www.duat.com/. Once your have logged on with DUATS, you will need to provide the same information required for a telephone briefing. The format of the briefing can be either in standard FAA format or in a decoded plain English version, or both. Initially, it’s good to request both the FAA code and plain English so you can start to learning the FAA format. Once you have figured out the abbreviations, it’s generally quicker to read the FAA version than the plain English. View a DUATS standard briefing for a flight from Oakland to Sacramento showing both the FAA and plain English text. Regardless of the source of your weather briefing, you will need to review the entire briefing for current or forecast weather that would result in a “no-go” decision. These might include such conditions as limited visibility, low clouds, excessive wind, convective activity, or turbulence. Weather is a major contributing factor in accident statistics, so a conservative approach to making go/no-go decisions can have a huge impact on the safety of your flights. Any significant convective activity or turbulence. As a student pilot, your student pilot certificate must be endorsed for cross country flight. Also, all of your cross-country flight plans must be reviewed by an instructor who must then endorse your log book prior to each solo cross-country flight. Initially, you will probably plan more flights than you actually fly. However, it’s always better to be on the ground wishing you were in the air than vice versa. Assuming the briefing indicates the weather is acceptable, you will then need to calculate a course to fly and the time and fuel requirements for your flight. This is done using calculations based on information from the weather briefing and performance data for the airplane you intend to fly. To do the calculations you will need a flight computer such as the E6B. Starting out using this traditional manual slide rule type flight computer is recommended. To organize the calculations, use a navigation log. Click here to download the FirstFlight navigation log in pdf format. Fill in the first column by selecting checkpoints along your route of flight. Initially, for training purposes, look for checkpoints about ten miles apart. As you gain experience and fly longer flights, the checkpoints can be further apart. The checkpoints should be easily identifiable features on your chart, such as highway intersections, rivers, airports, etc. Make a pencil mark on your chart for each checkpoint along your course line and note the names of the check points on the navigation log. Then use a plotter such as the ASA Ultimate Rotating Plotter to measure the distance between checkpoints in nautical miles and to determine the true course of your course line. When measuring the distance between checkpoints, be careful to use the correct scale on your plotter for the type of chart you are using. You will probably be using a sectional chart and, if so, you will need to use the sectional nautical mile scale. Make a note of the distance between each pair of check points on the navigation log. To determine the true course, align your plotter with your course line and align lines around the rotating compass rose on the plotter with lines of longitude on your chart. The course arrow pointing in your direction of travel will then point at your true course on the plotter’s compass rose. Make a note of your true course on the navigation log. Take a look at the elevation of the terrain along your route of flight and select a cruise altitude for your flight. When selecting the altitude, take into consideration the terrain, airspace, the performance characteristics of your airplane, the winds aloft, and cloud levels forecast in the weather briefing, and your direction of flight. For flights with a magnetic course of zero degrees through 179 degrees, select an odd-thousand-foot MSL altitude + 500 feet (such as 3,500, 5,500 or 7,500). On a magnetic course of 180 through 359 degrees, any even -thousand-foot MSL altitude + 500 feet (such as 4,500, 6,500 or 8,500) can be used. If you are flying within 3000 feet of the surface, these directional altitude rules do not apply. Having selected an altitude, enter it in your navigation log and indicate the course legs where you will be climbing to, or descending from, your cruising altitude. In the wind section of your flightlog, enter the wind direction and velocity forecast for your cruise altitude in the winds aloft section of your weather briefing. In the true airspeed (TAS) column of your navigation log, enter the TAS of your airplane for the altitude and power setting you plan to use. This information is obtained from the performance chapter of your airplane’s flight manual and takes into account altitude, temperature and power setting. You are now ready to start the calculations that form the basis of dead reckoning. First, you need to calculate a Wind Correction Angle to apply to your true course. This is calculated using the wind side of your E6B. Start by aligning the direction of the wind given in the winds-aloft forecast with the true index mark. Then, with the hole (grommet) over an easy-to-reference line/number, such as 100, mark the wind velocity as a dot or cross on the plastic surface. This mark should be up from the center a distance equivalent to the wind velocity given for the altitude to be flown in the winds-aloft forecast. Next, rotate the azimuth so the true course is now under the true index mark. Then slide the rectangular grid until the wind velocity mark you made is over a line that represents the true airspeed you selected from the cruise performance table. Your groundspeed can now be read as being the speed shown under the grommet. Make a note of the groundspeed on your navigation log. The Wind Correction Angle is indicated by the number of degrees the scale indicates your mark is left or right of the centerline on the rectangular grid. A Wind Correction Angle to the left of the center should be subtracted from your true course (TC) to determine your true heading (TH), and a wind correction to the right of the center should be added to your true course to obtain your true heading. Now you need to refer back to your chart to determine the magnetic variation that applies in the area where you intend to fly. Magnetic variation is indicated on charts by isogonic lines. These are depicted on sectionals by dotted magenta lines. If the variation is east, subtract it from your true heading (TH) to obtain your magnetic heading (MH), if it is west, add it to the true heading to obtain your magnetic heading. The final step to establish your compass heading is to add or subtract magnetic deviation. You will need to take a look at the compass in your airplane to determine deviation. There will be a card attached to your compass which indicates the amount of deviation in effect for various ranges of headings. Note the appropriate number on your navigation log and add or subtract the deviation (depending whether it is a positive or negative number) to your magnetic heading (MH) to obtain your compass heading (CH). The compass heading is the heading you should initially plan on flying once established on your course line. After you have figured out the compass heading, your next task is to calculate your groundspeed and, from that, determine how long it will take to fly each leg and how much fuel will be required. This is done mainly using the calculator side of your flight computer. However, for the first leg of the flight, you will be climbing and for this you will need to use the “Time, Fuel, and Distance to Climb” table in your airplane’s flight manual. This will provide an estimate of the amount of fuel needed to start up and taxi and will also allow you to calculate the time, fuel and distance required to reach your cruise altitude. When using any tables in your airplane’s flight manual, be sure to read all the notes and comply with them in order obtain realistic figures. Make a note of the time, fuel and distance required to reach cruise altitude and subtract the distance from the length of the first leg of the flight. The difference between the distance required to climb to cruise altitude and total leg length will be the distance remaining of the leg to be flown at the cruise altitude in straight and level flight. For this distance, you also need to calculate time and fuel used and then add the resulting numbers to those obtained from the “Time, Fuel, and Distance to Climb” table in order to determine the total time and fuel requirements for the first leg. To calculate time and fuel needed when flying straight and level, use the groundspeed that was calculated earlier and noted on the navigation log. Rotate the center section of the calculator until the speed index pointer is aligned with a number that represents your groundspeed. Then, using the outside scale, locate the number that represents the distance to be flown at the groundspeed selected. The number on the inner scale opposite the distance number will represent the time in minutes it will take to fly the distance at the airspeed selected. You then need to use some common sense when deciding how to interpret the numbers. For instance, if your groundspeed was 90 KIAS and the distance was 6 miles, you would select 90 opposite the index pointer. Then use 60 to represent the 6 miles and the number opposite on the inside scale will be the time. The number opposite 60 is 40. In this case, 40 represents 4 and common sense tells us that 4 minutes sounds like a reasonable amount of time to fly 6 miles at 90 KIAS. So, to calculate time taken to fly a leg, select groundspeed opposite the index pointer, then find distance on the outside scale and read time on the inside scale. Make a note of the time required and then calculate fuel consumption. Use the gallons per hour (GPH) indicated in the “Cruise Performance” table in the performance section of your airplane’s flight manual for the altitude, temperature, and power setting you anticipate using. Remember, to get the predicted performance, you must take into account and comply with any notes on the table. Proper leaning is essential to obtain the fuel consumption indicated on the table. Make a note of the GPH for your cruise altitude on the navigation log and then rotate the index pointer to align it with a number representing the GPH. On the inside scale, find the number representing the time; and opposite it, you can read the amount of fuel required. So, if your GPH is 6, align the index pointer with 60. If the time was 4, locate 40 on the inner scale, and opposite 40 is the number representing gallons used. The number opposite 40 in this example is 40 which in this context means .4 gallons would be used to fly for 4 minutes when using 6 GPH, which sounds reasonable. So, now add the 4 minutes and .4 gallons to the numbers obtained from the “Time, Fuel, and Distance to Climb” table to get the total fuel and time required for the first leg and enter these results in your navigation log. The subsequent legs are easier because you will already be at cruise altitude, so you simply need to do the time and fuel calculations on the calculator for the distance of each leg using the techniques mentioned above. The final leg of your flight will involve a descent and, since the manuals for most trainers do not include descent tables, you can calculate these as if they are flown straight and level at cruise. This is not entirely accurate, but the figures generally come out close enough, and are usually adequate in the absence of descent tables. With all these calculations, bear in mind that your airplane will probably not be as fast or economical as the new one that was used by the manufacturer when they complied the performance tables. You should end up with figures for the estimated time en route (ETE) for each leg of the flight and an estimate of fuel consumption. Starting with the quantity of fuel you start the flight with, create a running total of fuel remaining by subtracting the fuel used for each leg from the quantity you start out with. The fuel remaining should always be more than your planned reserve which, for day VFR flight according to FAR91.151, must be enough fuel (considering wind and forecast weather conditions) to fly to the first point of intended landing and, assuming normal cruising speed during the day, to fly after that for at least 30 minutes. At night that required time is extended to at least 45 minutes. However, most private pilots would prefer bigger reserves good for at least an extra hour of flight day or night. If your fuel -remaining figure comes to less than an hour’s worth of fuel, plan a fuel stop prior to that point. Now you have a compass heading to fly, times for each leg, and an estimate of the quantity of fuel you will consume, so you have the basics of your plan complete. The remaining boxes on the navigation log will be completed en route. In addition to completing the navigation log, you must also do a weight-and-balance calculation for the airplane you intend to fly, taking into account the actual weights and locations of yourself and your instructor, plus baggage and fuel. This is worked out using the specific weight and balance data for your airplane and the tables in the weight and balance section of the airplane’s flight manual. You also need to do takeoff and landing distance calculations for all the airports you intend to visit, using the tables in the performance section of your airplane’s flight manual, and compare the results to the runway lengths published in the Airport Facility Directory. While looking at the Airport Facility Directory, determine the traffic pattern direction and altitude for your destination and note any relevant remarks that apply to the airport. You may also find it helpful to make a note on your navigation log of the frequencies you will need as your flight progresses. Having planned the outbound journey, now go ahead and repeat the process for the return flight. You would be surprised at how many student pilots show up for their first cross-country with a complete plan to reach the destination but without any attention given to the necessity of planning the flight back to their home base. 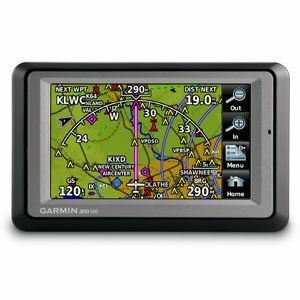 To learn how to implement your plan, proceed to Flight Nine where you fly your first cross- country and use the navigation log in flight while learning more about dead reckoning plus pilotage and communicating with flight service stations.